Raising monarchs is super easy. If you don't have a patch of milkweed handy, order the plants online and plant them outside in clusters of three or more plants. Check the undersides of the leaves for eggs and tiny caterpillars. When you find a caterpillar, dig up the milkweed plant, wrap it in tulle netting from the fabric store so the caterpillar won't get away, and bring it inside to watch it develop. (You can order the caterpillars online, too.) It will eat like crazy for about ten days until it pupates. If you're raising more than one, you'll need additional milkweed plants. After the butterfly has emerged from the chrysalis, release it outside. 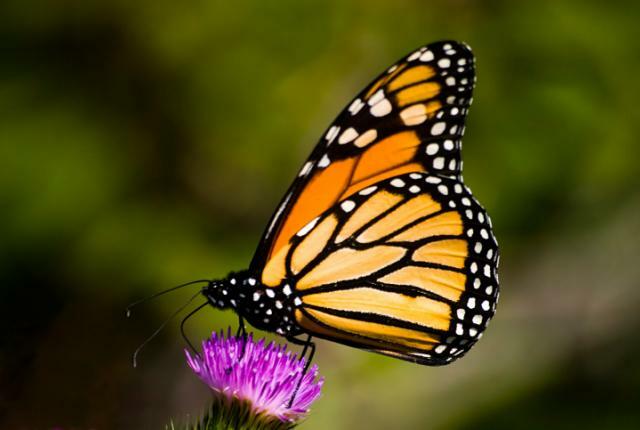 Monarch Watch has detailed instructions about rearing monarchs, and you can order tags for your butterflies if you want to help track their migration.